Could anybody tell me whether there is a list of the layouts and traders at MomiNG 2017, as I can't find much information at all. You have to register, to get the informations. Might I ask you to just copy and paste please? You can ask, but I cannot copy and paste without the permission of the copyright holder. 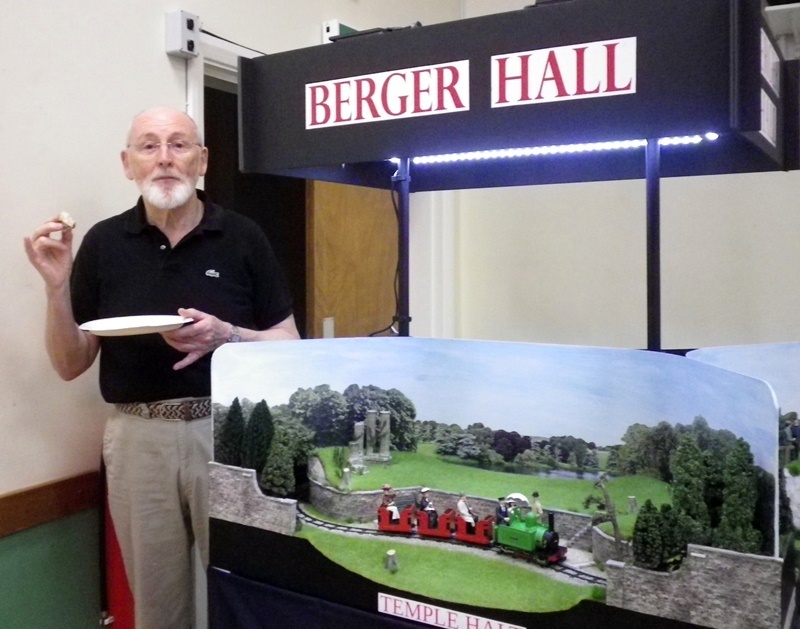 The “exhibition within an exhibition” that is the twelfth celebration of MOdelling MINimum Gauge will again be part of the bi-annual Members’ Day held by the Wiltshire Group of the OO9 Society. Exhibitors for the MOMING part of the event are (at the time of writing) as follows. Sadly as I'm probably only free on the Sunday of that weekend will have to miss it this year. I took the long trip to Pewsey on Saturday and it was well worth it - for scales big and small. Bill, it was great to meet you, the residents, and the visitors of Berger Hall. I hope it was a success for you on the day. The layout, especially the figures, look even better "in the flesh". Congratulations to all the participants and organisers. Bilco poised to savour the last mouthful of Pewsey lardy cake. I don't think you can do "Likes" on this forum, but that photo is worth a "Like" plus 5 stars Bill! It says it all about the Pewsey experience and is a fond reminder of an excellent friendly and informal day with some great layouts in all scales. Berger Hall was one of the highlights of the day for me and it was good to meet you and Mrs Bilco as well. I've followed this construction and I must say the "whole" is definitely greater than the sum of its parts! Was the elusive Steve Bennett actually at the exhibition?